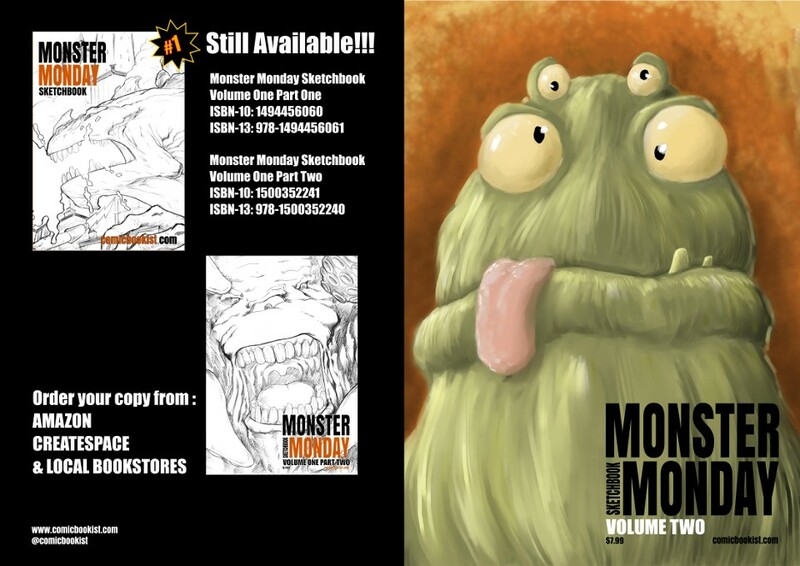 Here's the full front and back cover design for my latest book Monster Monday Sketchbook Volume 2. This edition collects all of the drawings from "Volume 2" of my "almost weekly" series of Monster Monday Sketches. It is also available to order from Amazon in Europe as well and from bookstores. My other books are also available through Amazon here.